What should a contemporary affordable residential place be like? Simple, compact, eco-friendly and energy efficient, we guess. A modern city dweller doesn’t need much stuff: gradually overconsumption is being replaced with fashion for moderation, thrift and responsible approach to resource consumption. 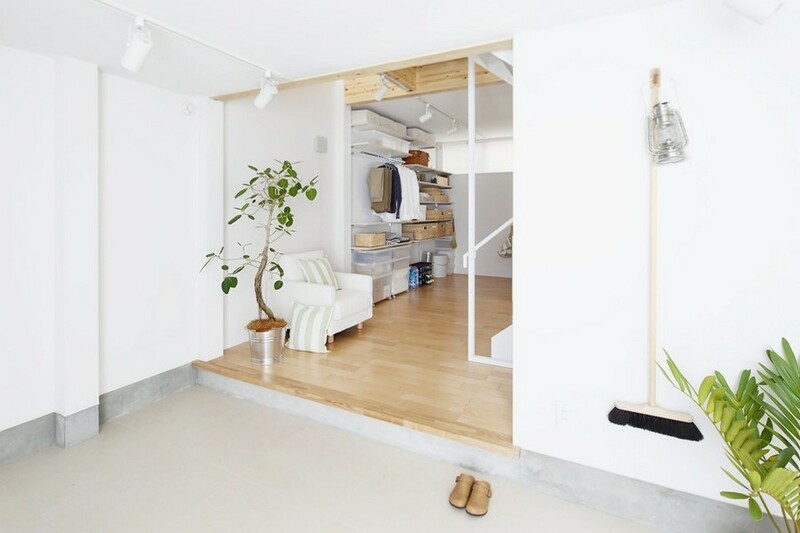 That is why micro-spaces are becoming so increasingly popular in developed countries, and the Vertical House project of the MUJI Company from Japan has collected so many affirmative responses. 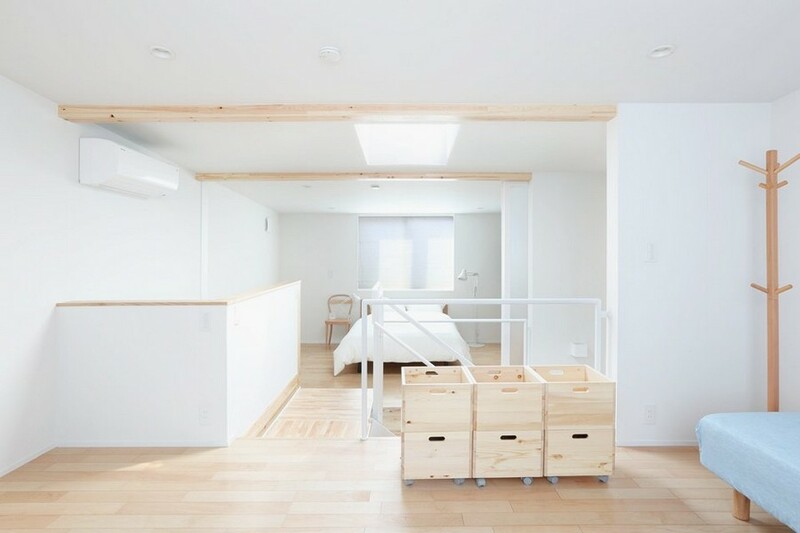 MUJI has become known as a producer of minimalistic domestic stuff, and since 2008 it has been selling houses like hotcakes. The Vertical House is the third house project in the series. It’s pre-assembled right on the factory and hence is ready for fast installation on the spot. Being very compact, it can be put even on a tiny plot of land with the total area of at least 30 square meters. MUJI has gained a reputation thanks to its no brand policy: the company relies merely on the grapevine, doesn’t brand its products and barely spends on traditional marketing. 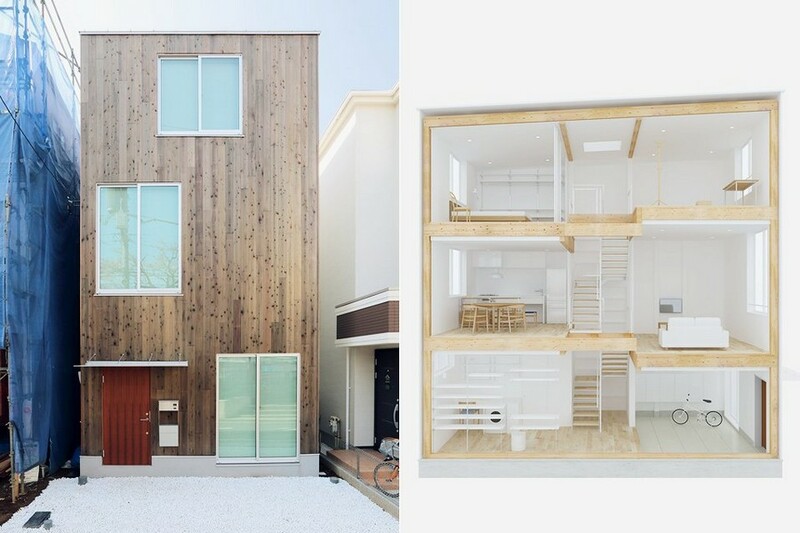 Perhaps, that is the reason why MUJI’s houses look so sweet. Thereby, they have no distinctive features, which is also a plus: the designers of the company have created a pleasant neutral space, which doesn’t pressure and looks more spacious than it really is. 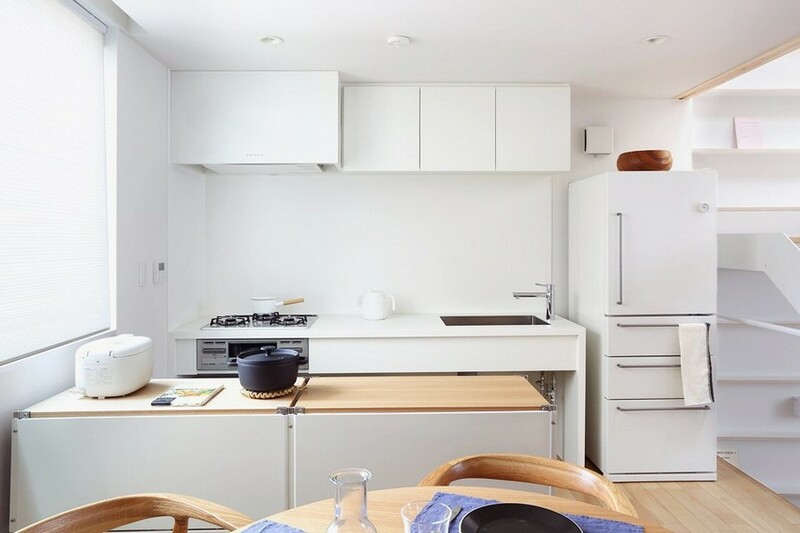 Furniture and parquetry in light wood, white walls, and tall windows – the top managers of MUJI always emphasize that their company produces discreet things, and this statement refers to their houses as well. There are seven versatile house models available – for different types of families. Each costs about 20 million Japanese yen, which is equal to about $ 200,000, i.e. a pretty low price for Japan. In the basic version the first floor is occupied by a bathroom and a pantry, the second one is designed as a living room with a kitchen, and the third one is organized as a bedroom. The role of a divider, which separates different functional zones from each other, is played by a staircase running through the middle of the building. 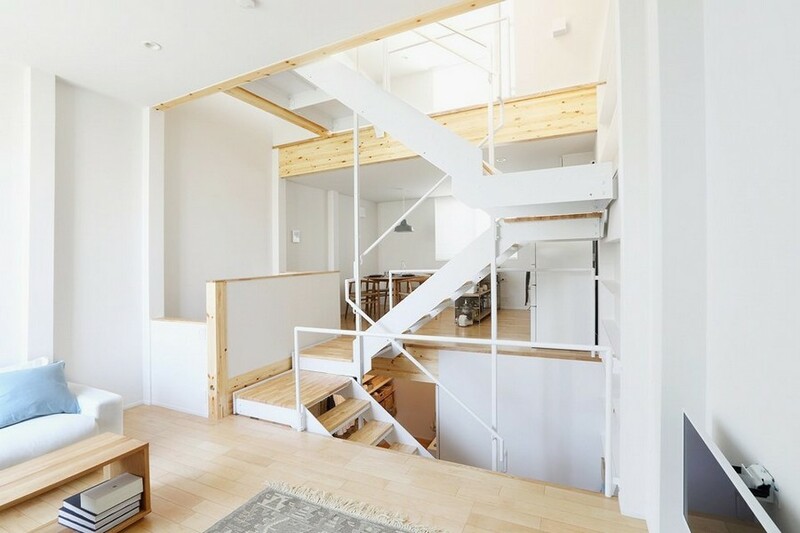 Despite the fact that a MUJI house looks like the embodiment of western architectural trends, it was created to solve local troubles in the first turn. Big Japanese cities and Japan in general badly lack room due to the high density of population. To crown it all, people of the land of the rising sun have no idea about secondary housing market – it doesn’t exist there at all. Unlike western people, the Japanese do not normally use a house for longer than 30-40 years, and buying real estate is not deemed an investment. Old houses can be bought just for the sake of demolition and building up something new. In this context easy-to-install-service-and-recycle prefabricated houses appear to be a very modestly-priced way out of the problem.